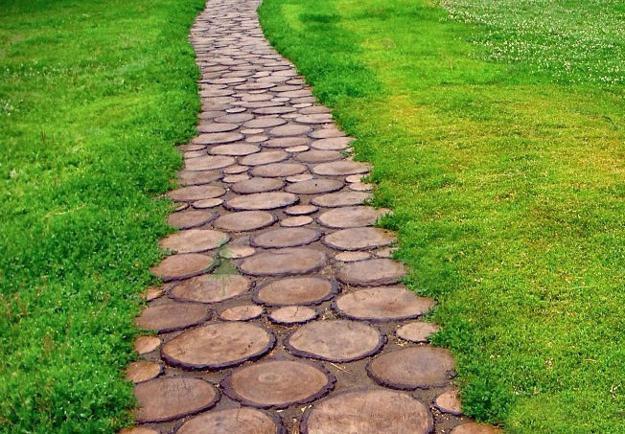 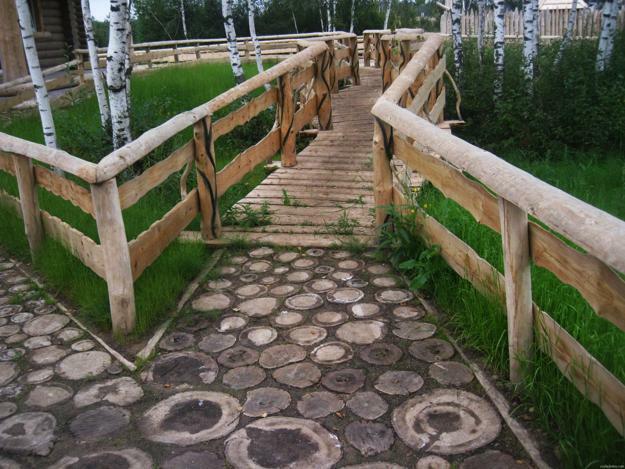 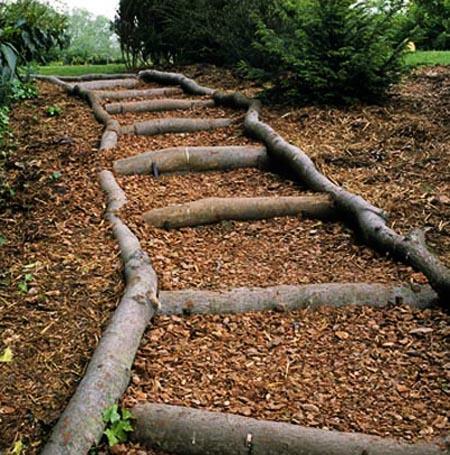 Wood is a fantastic material for eco friendly, natural and beautiful garden path design. 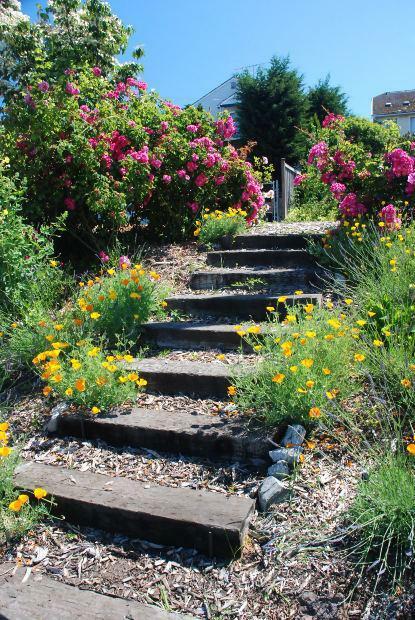 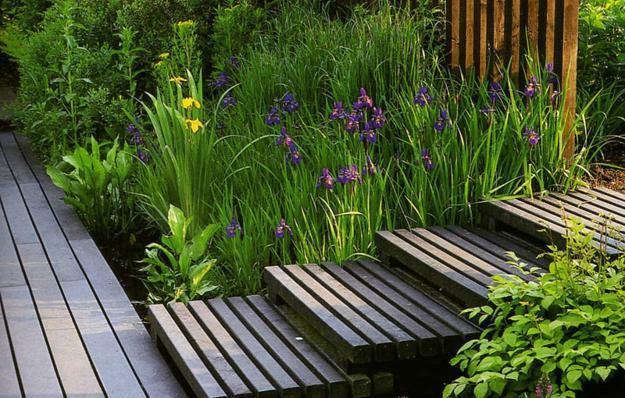 Large back yard and garden designs will benefit from natural looking wooden walkways and paths toward perennial flower beds, outdoor seating areas or a gold fish pond. 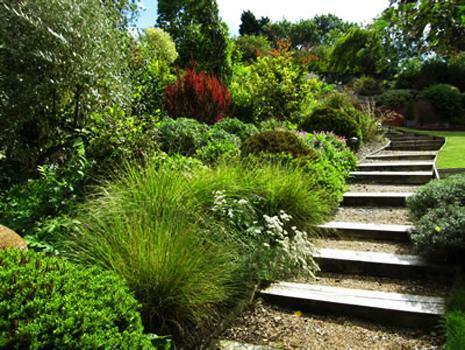 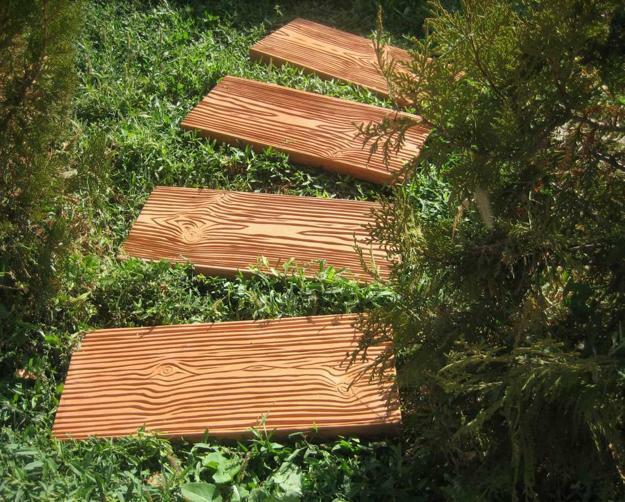 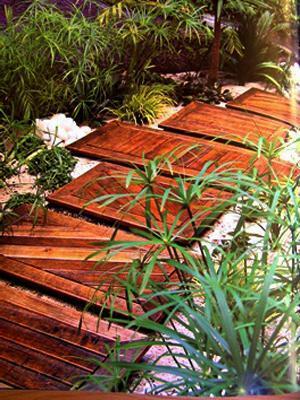 Lushome collection of beautiful wooden garden paths offers practical, cheap and Green design ideas for yard landscaping. 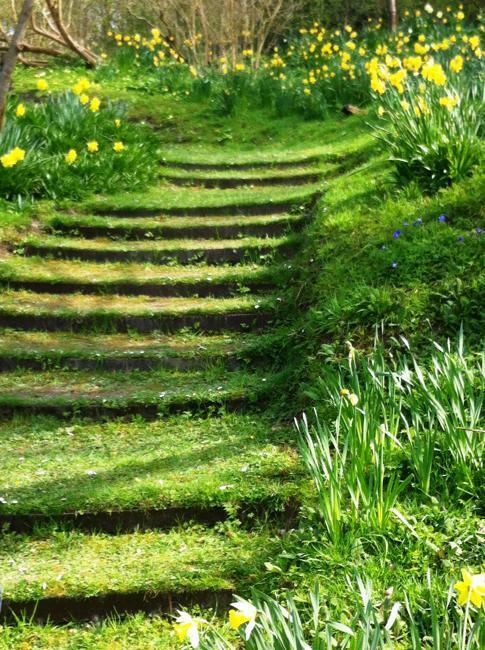 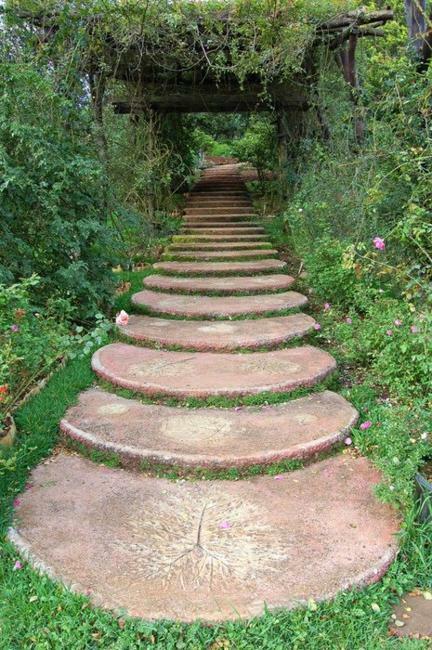 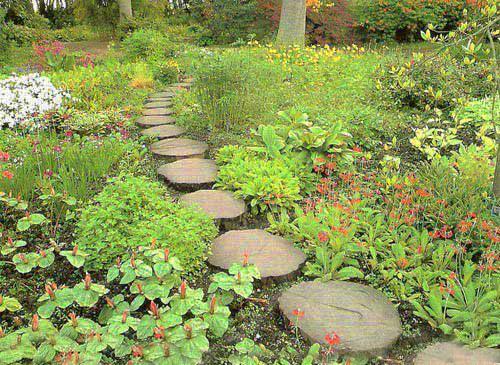 Wooden garden paths do not last for centuries, but they look charming. 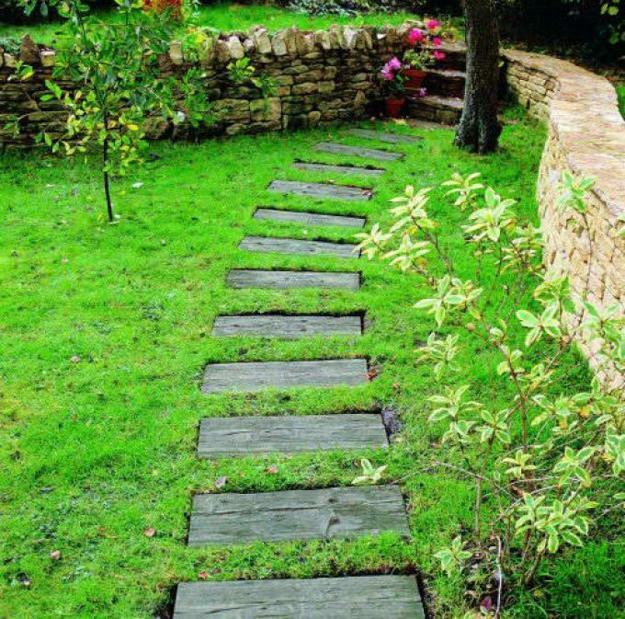 If there is an empty space between your house and garden, a wooden walkway or path with wooden stepping stones are the perfect idea that adds more interest to yard landscaping. 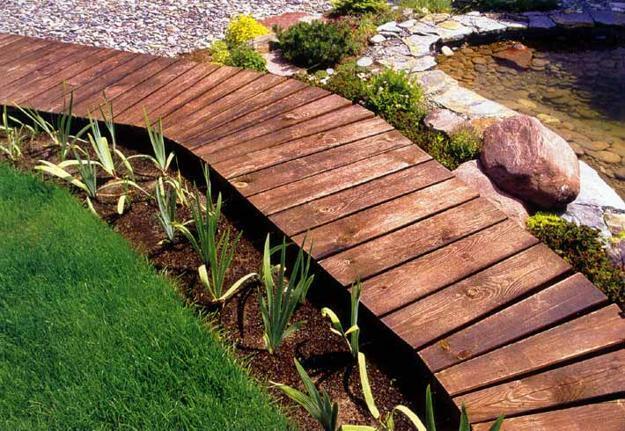 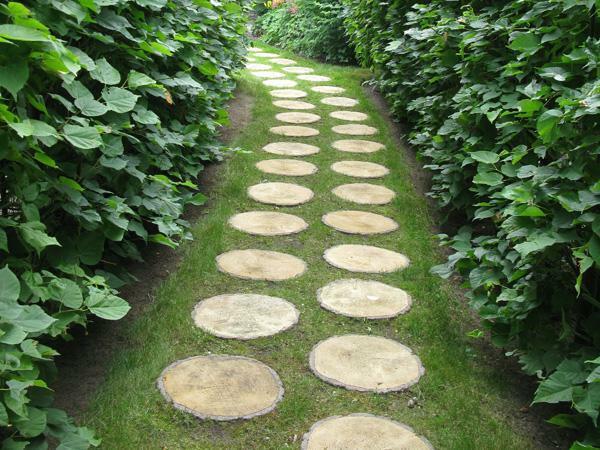 Made with wood, a garden path harmonize landscaping ideas. 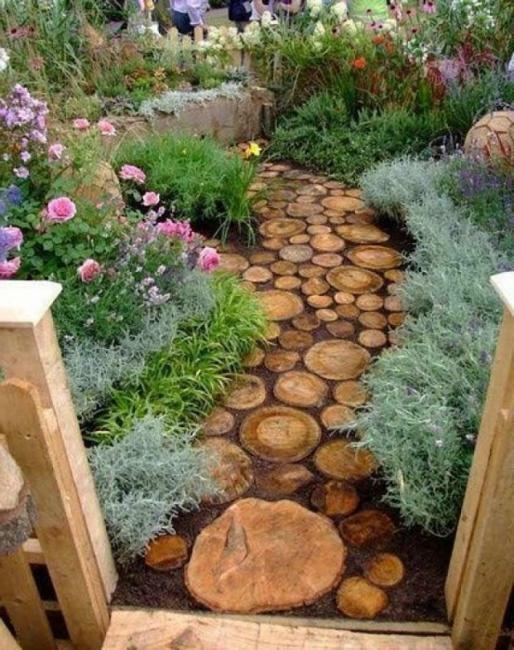 A real wood path adds a lot to any backyard design. 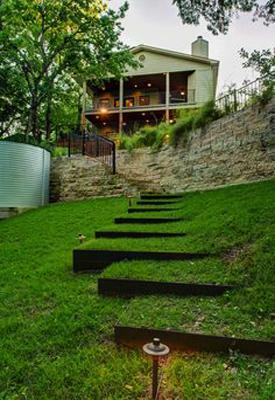 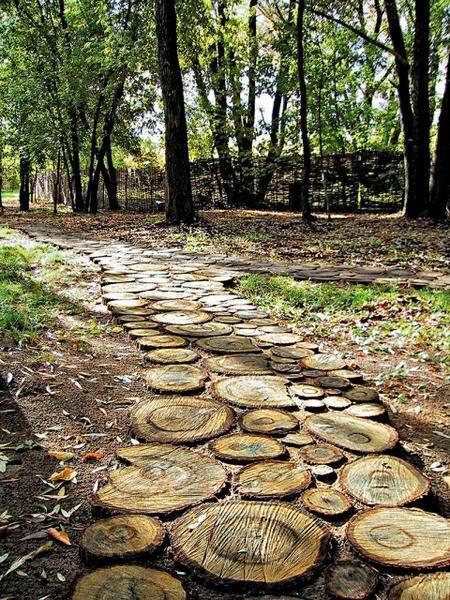 Wooden paths are cheap ideas that dramatically change the way backyard look and feel. 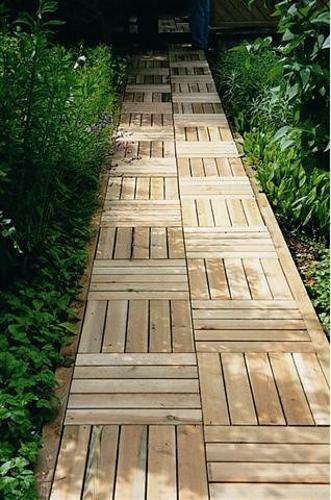 All you need for creating a beautiful wooden path is your favorite wood material, a shovel and a rope to laid it out where the path should go. 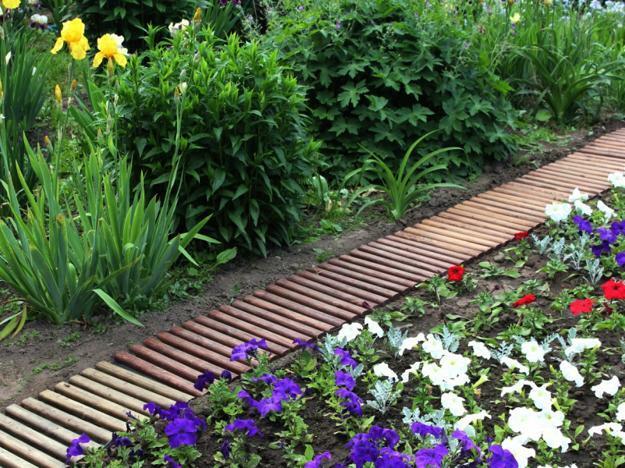 Wood is a material that may already have in your garden or can get for free. 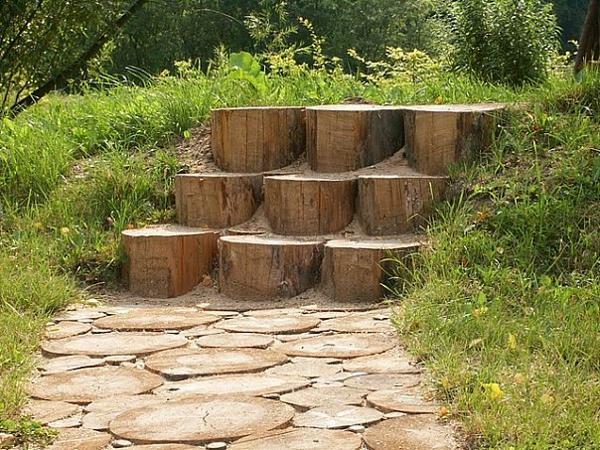 A large pile of oak chips, logs and salvaged wood pieces come to mind. 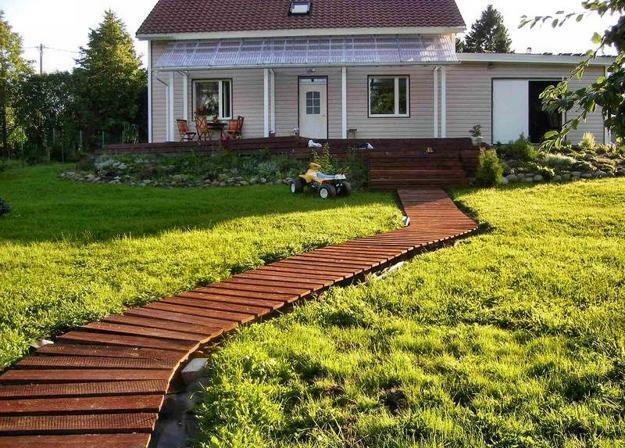 Landscaping wood is not expensive also. 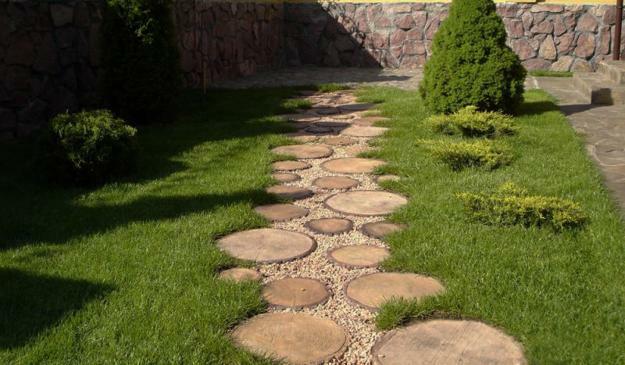 Wood materials are versatile and look gorgeous with grass and flower beds, large landscaping rocks and small flat rocks, natural stones, beach pebbles, sand, mulch and gravel. 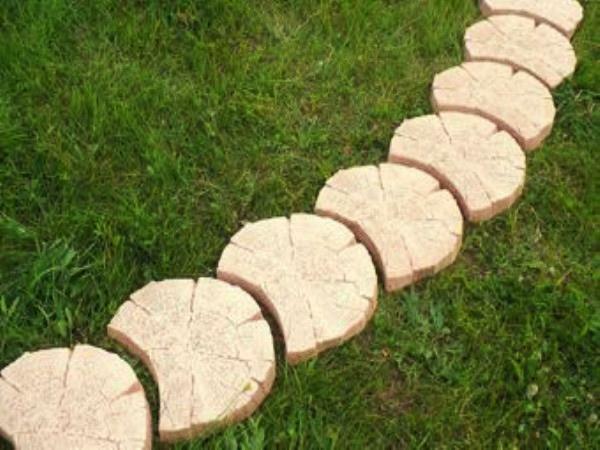 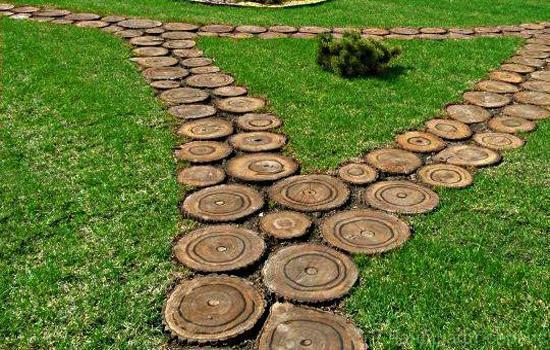 All these path design materials can be skillfully mixed for creating a unique walkway or garden path. 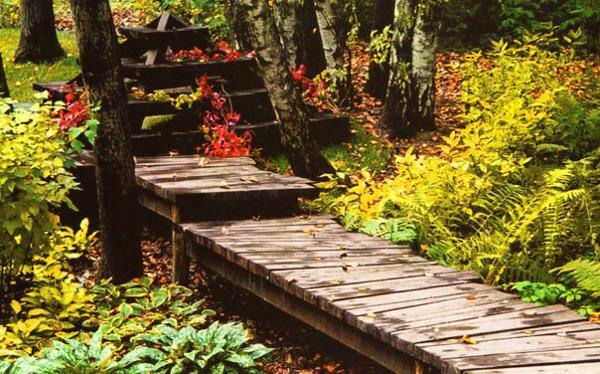 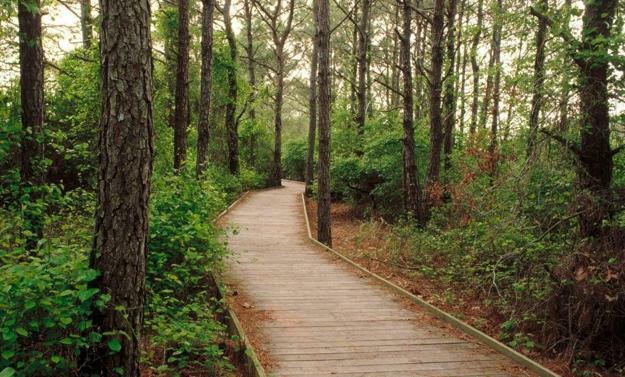 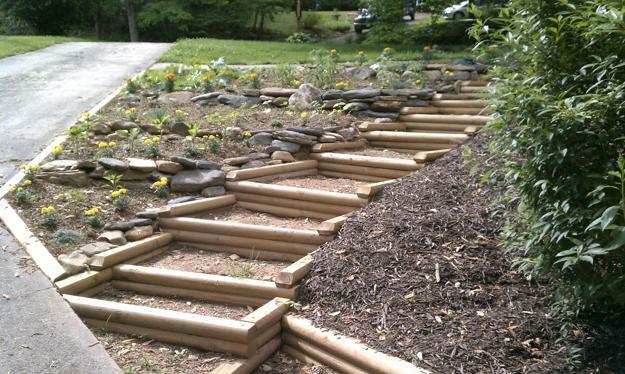 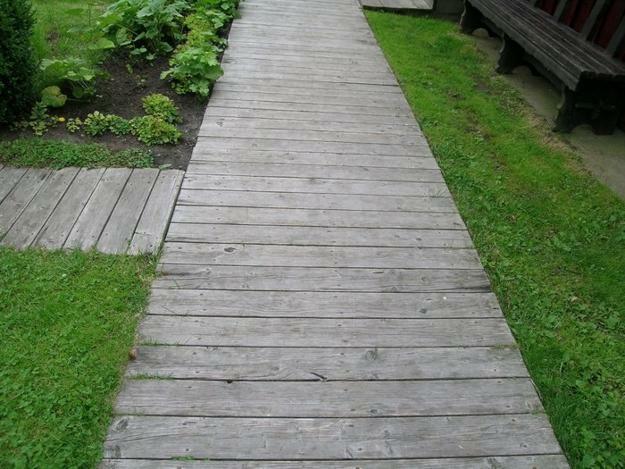 Building a wooden path is a great do-it-yourself landscaping and garden design project. 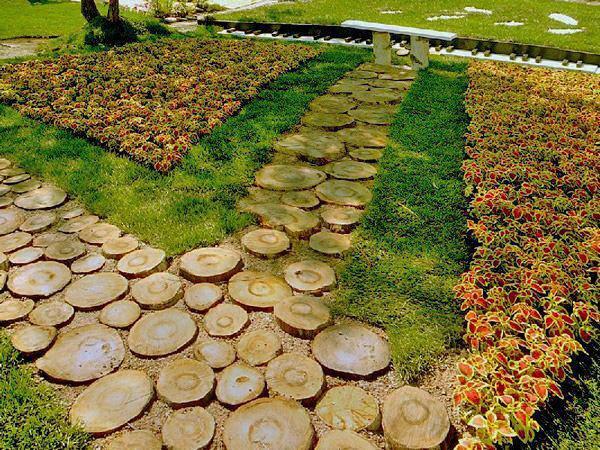 Sliced wood pieces, arranged in groups or placed in a random order make wonderful outdoor patio surfaces, walkways and garden paths. 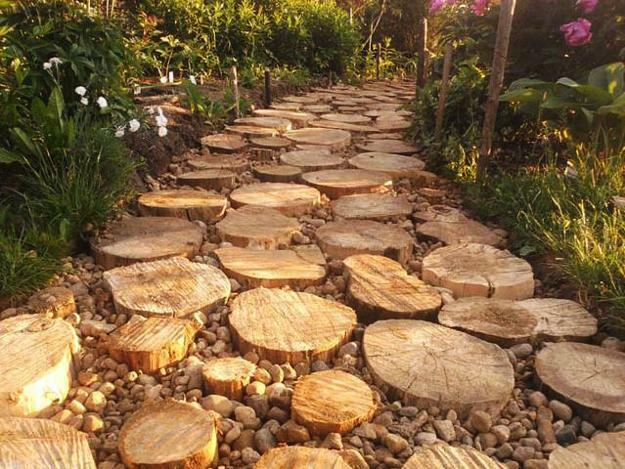 Sliced wood, logs and salvaged wood pieces are wonderful Green design materials that look beautiful and elegant, enhancing a natural feel and offering cheap ideas for designing attractive and creative walkways and harmonizing yard landscaping.